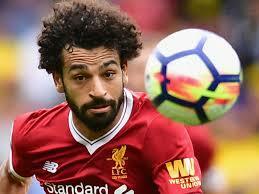 Egyptian Mohamed Salah, Portuguese Cristiano Ronaldo and Croatian Luka Modric were shortlisted for the 2018 Best FIFA Men’s Player award. According to a FIFA statement on Monday, Argentinean Lionel Messi missed out on the shortlist for the 2018 Best FIFA Men’s Player award. Mohamed Salah had scored 32 Premier League goals last season while Ronaldo scored 26 goals in La Liga last season and Modric was named UEFA’s Men’s player of the season.